The use of interactive applications on mobile devices is becoming more than just a successful trend. Users have begun appreciating the exceptional functional and entertainment value provided by mobile applications. The technological revolution brought about by the entry of the iPhone and the iPad has further popularized the usage of mobile applications. 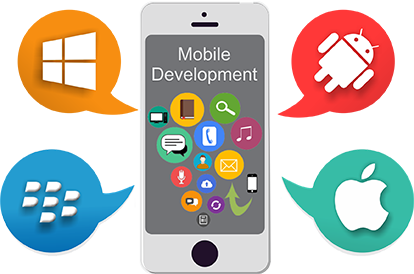 Mobile application development is a process that involves the creation of mobile applications that could either be a stand-alone concept or an application that complements an existing or brand new website.. These applications are either pre-installed on phones during manufacture, or downloaded by customers from various mobile software distribution platforms. The phenomenal scope of mobile applications has led to small, medium and large businesses leveraging this potential to enhance their brand identity and improve business performance. BlackBerry PlayBook Tablet Application Development. Porting Web Application to iPhone.